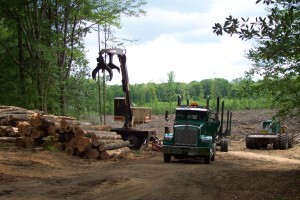 The Mission of the South Carolina Timber Producers Association is to serve as the voice for timber harvesting and allied timber businesses to advance the ability of its members to professionally, ethically, efficiently, safely, environmentally and profitably harvest, produce and transport timber to meet supply demands of our state by providing continuing educational and training opportunities, distributing timber harvesting, hauling, manufacturing and selling information, representing our members in national and statewide legislative activities, supporting and advancing sustainable forestry practices and policies, and aggressively promoting, supporting and conducting programs of state, regional and national advocacy. Encouraging professional, ethical business practices through education and professional training. Promoting efficient, safe, economical and environmentally responsible timber harvesting methods. Promoting practical, effective measures for compliance with the Sustainable Forestry Initiative (SFI), Best Management Practices & Environmental Stewardship. Developing active relationships with local, state and federal authorities through cooperative interaction, communications and education. Developing improved communications between timber harvesters, timber producers, timber users and timberland owners for supply and demand issues. Monitoring local, state and national legislation for support, opposition or amendment and to be an active participant in the political processes affecting professional timber harvesting, producing and transportation. Supporting state, regional and national logger, forestry, timberland, transportation, forest products organizations and allied industry associations. Improving public image through increased community interaction, service and education.